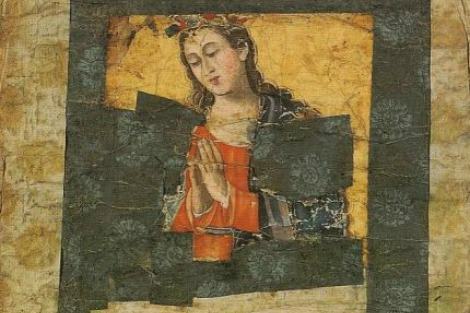 During medieval times, theology was called the 'Queen of the Sciences', not only because of those who studied it, but also because it was the summit of all the disciplines. Theology tries to fathom and then speak of the divine or simply, 'its about effing the ineffable'. 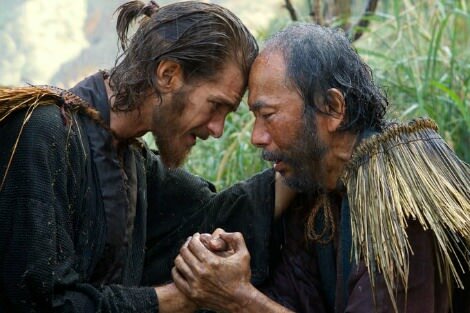 Martin Scorsese's Silence is a theological exploration of the impact of doubt upon an individual's faith, especially when persecution challenges the believer's certainties. Academic dicta are pummelled in the surf and mud as we follow the lives of two 17th-century Portuguese Jesuits who travel illegally to Tokugawa-era Japan to find the truth about what happened to their own Jesuit theology professor, alleged to have renounced his faith under torture. Many Christian reviewers have concentrated upon the metaphysical significance of the via crucis of these priestly innocents abroad in Buddhist and Shinto Japan. Others have criticised Scorsese for indulging in a lengthy reflection on his own maturation of faith to the neglect of the Japanese who bore the brunt of the persecution. Both views have merit. Silence can also be considered through a missiological lens. Missiology is the study of those who leave their own cultural milieu to preach their understood version of the divine to others elsewhere (regardless of the hearer's level of receptivity), and the methods they use. Noticeably, Scorsese has his young Jesuit, Rodrigues (Andrew Garfield), utter these words early in the film. For Christians, mission was sacramental and inextricably linked with baptism, because missionaries saw heaven's gate as exceptionally narrow with entry reliant upon membership of the Church. This view of engagement with other other religions — even with Jesus' own religion, Judaism — remained institutionally static until the aggiornamento ushered in by Vatican II and such declarations as the 1965 Nostra Aetate, about the 'Relation of the Church to non-Christian religions'. "The survival of the Japanese Catholic community thus rested on the feeble, yet faith-filled shoulders of the local women and men who kept praying in times of hardship even unto death." Jesuits were the missionaries par excellence of the Catholic Reformation, following in the footsteps of the legendary St Francis Xavier. Xavier landed in Japan in 1549, almost 100 years prior to the setting of Silence. By the end of the 16th-century, the Japanese Catholic Church numbered more than 100,000, and was served by a relatively small number of European and Japanese religious. By the end of that century, however, official persecutions had savagely suppressed the Christian communities and banned its practice. Famous among the persecutions is the execution in Nagasaki of the '26 Martyrs of Japan' in February 1597 (20 of whom were Japanese, including three youth). This is the missiological setting of Silence: two naïve Europeans come to serve a localised church, which has been planted from afar and is now seeking to keep its communities intact in the face of outside terror and in the absence of the licensed leaders, priests and religious. The movie cannot be faulted for the manner in which it faithfully follows the original text of Shusaku Endo's 1966 historical-fiction, transliterated as Chinmoku and translated into English as Silence. Where the excellent Silence weakens, however, is in its leaping directly into the story as it appears in that text. This is not a churlish criticism, but rather a recognition that the cultural and historical setting of the original novel is complex and little known by most of the film's viewers. Consequently, the movie then becomes predominantly a reflection upon one missionary's struggle rather than a deep exploration of cross-cultural exchange. Ironically, Endo, a 20th-century Japanese Christian, had famously written about a living church that had survived more than 350 years of persecution, even as the local culture kept seeming to reject this foreigner in its midst. If the Church could not survive the transplantation to the 'Japanese swamp', then clearly the local Japanese Christians kept missing the memo. Silence the movie likewise underexplores the lessons of this cultural encounter. There are haunting local hymns yet the missionaries speak halting Japanese. The local church is served by a respected un-ordained head, who leads his fellow villagers in prayer and good works, and who baptises too. The survival of the Japanese Catholic community thus rested on the feeble, yet faith-filled shoulders of the local women and men who kept praying in times of hardship even unto death. In Silence we movingly witness one privileged European missionary's journey of self-growth and humility, yet for those who know how to look we also see the brooding of the Holy Spirit among the hearts of heroic and hospitable ordinary people. It is a pity, however, that Silence tends only to focus as through a glass darkly on the flash of these bright Japanese wings. Read Tim Kroenert's review of Silence here. "We also see the brooding of the Holy Spirit among the hearts of heroic and hospitable ordinary people" ... well said Jeremy. I see this brooding in many other places in the world today too ... a great point to contemplate! 'Silence' tends only to focus as through a glass darkly........ Theology does the same, from the nature of its subject matter. As St Thomas Aquinas pointed out, a concept of God is so far beyond the scope of the human mind that the closest we can come to a satisfactory concept of God is to realise that God is beyond the scope of the human mind. The most fruitful path then is through the 'dark glass' of analogy. We make progress by using words and concepts that we are familiar with, but which have only an analogous meaning when applied to God and to 'relationships' with 'Him'. Analogies by their nature do not convey precise meanings though they allow the mind to embrace something of the possibilities. We should be thankful for what we can manage, while striving to rise higher. The priest is imprisoned in a cell looking onto a courtyard where faithful Japanese Christians are being tortured horribly. They can do nothing to end their torture. Only the priest can stop it, if he will consent to 'trample' on a picture of Jesus, i.e. renounce the faith. He is horrified, he'd rather die himself - but can he allow the suffering of the people? He'll trample, he thinks - but what will happen to their faith, the faith that's sustained them, if they see their priest renounce it? Can the people survive this different torture? That's my only memory of the book, which I read twenty years ago. If the film has relegated the Japanese Christians to a minor role, I can't think that the truth of the novel has been reflected. It's their faith that's crucial in the battle that goes on in the priest. It's not just about his personal doubt or faith. I think you could give a little more credit to the audience and their imaginations. Like many viewers, I haven't read the book or lived in Japan, but the heroism and humility of the locals was unmissable, powerful and sufficient for the film. As Japanese say, "Less is more". The typically Japanese view of spirituality was concisely and sufficiently explained for me to make sense of the characters and plot. I was absolutely enthralled by the movie from beginning to end because of many aspects, its honesty being one. It was a movie about Rodrigues' experience, not a deep exploration of the complex Japanese culture. We were walking with him, praying with him and keeping up with the many thoughts the film presented. I am so thankful that Scorsese chose to allocate time focusing on the concepts he chose. Only the Japanese can make a film that authentically presents their complex perspectives. Endo was Japanese, Scorsese is not. How many white fellas could make a thoroughly authentic and profound film about aboriginal perspectives? Thank you for your insights Jeremy. There was a strong focus on the journey of the Jesuit Rodrigues but I felt that the faith of the local Japanese people was shown to be of fundamental support to him as symbolised by the wooden crucifix. I suppose each filmmaker has to craft the work in the way that the narrative has affected them. I have greatly appreciated the development of discernment in the film; honour versus dishonour... and the way humility found unexpected expression. Courage was seen to have several forms some hidden. I've now read perhaps a half-dozen reviews of this film by Scorsese - from all of which I have taken some insight. I have only ever read the introductory chapter's of ENDO's novel - but I have been to lots of places connected to early Christianity in western Japan - places connected to the visits and stays of Francis XAVIER SJ - of those early Edo era persecutions - of the Hidden Christians - and the way that story further developed with the early Meiji era persecutions - until about 1872 when the approximately 250 year-long proscription against Christianity came to an end. My pen-friend from early 1963 was the daughter of an important Shinto Shrine priest in south-east Kyushu. She married into a Hidden Christian-descended family whose Christian heritage went back to the 1550s. I am looking forward to seeing this Scorsese interpretation - but I have some of the background, too - in putting this into a more fully-rounded perspective. Some interesting points raised here, but i concur with others who see the issue of "doubt" as less than central to this film. Also, whether the missionary's journey is one of "self growth and humility" is certainly questionable. I find a more interesting theological discussion to centre around whether the 'voice of God', as it appears at the end of the film, should be conceived as legitimate, or rather a source of self-serving temptation. Trampling on the images in order to save the lives of others is certainly perfectly understandable, but living the rest of your life as a lackey to powers that be, while at the same time trying to preserve a notion of faith that is purely inward, and without any action in the world, is arguably another.